HOUSTON, MAY 4, 2016 – The quest to recover Emperor Gaz’s scattered remains continues in Sentai Filmworks’ latest acquisition, Chaika the Coffin Princess: Avenging Battle. Chaika, Toru, Akari, and Fredrica’s adventures continue as they plot to secure the emperor’s heart from the Hero Claudia. However, when another of the emperor’s dark secrets come to light, Chaika struggles to come to terms with her identity and her purpose. 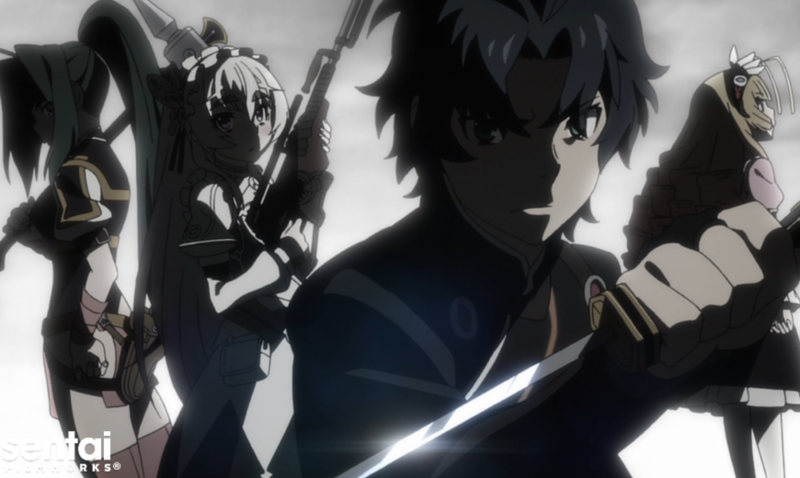 With conflict looming on the horizon, will Chaika's quest ultimately bring peace? Or will the country, once again, be torn apart by war? Soichi Masui, who directed the first season, returns to direct the second season, with Touko Machida once again in charge of series composition. Animation production was again helmed by BONES, the same studio responsible for hits like Full Metal Alchemist: Brotherhood and Space Dandy. Chaika the Coffin Princess: Avenging Battle will be available through select digital outlets, with a home video release to follow.